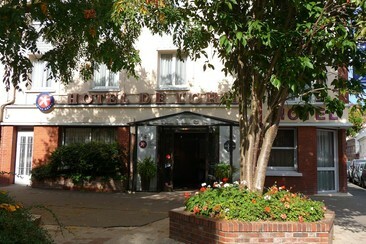 The Originals de l'Orme is a quiet and relaxing hotel located in the center of Evreux, just 500m from Evreux Cathedral and 800m from the train station. Furthermore, the Monet Foundation of Giverny, Deauville and its famous boards, the green and well-preserved countryside of Grand-Evreux are also within easy reach. The Originals de l'Orme offers non-smoking and comfortable modern rooms. They feature desks, LCD TVs, free WiFi access, and private bathrooms which come with hairdryers. Moreover, the hotel has a bike storage room, a bar where you can relax and a friendly and warm meeting room. 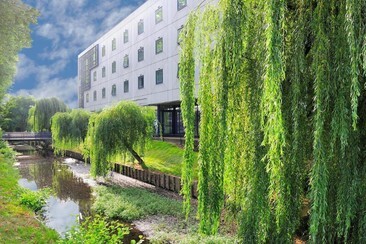 Best Western Plus Evreux Palais Des Congrès is located in the centre of Evreux, it is a 16-minute walk from Notre-Dame d’Evreux Cathedral. Chateau du Buisson de May is 11 mile away. This family-friendly hotel also offers a fitness centre, complimentary newspapers in the lobby and dry cleaning/laundry services. On-site self-parking is complimentary. All rooms are air-conditioned and feature a flat-screen TV with satellite channels, a minibar and a seating area. The ensuite bathroom includes a hairdryer and a bathrobe is available upon request.